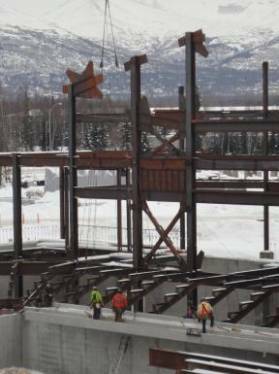 In the summer of 2011, the University of Alaska Anchorage, home of the Sea Wolves, received approval to have a new sports arena constructed. The new arena will sit on approximately 20 acres. 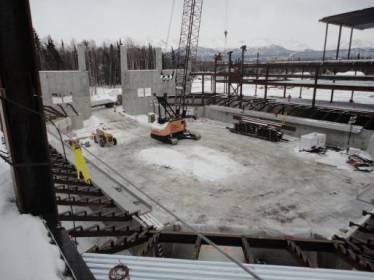 It will include a main gym, which will seat about 5,600 spectators and will be big enough to be divided into three courts. There will also be an auxiliary gym that can be divided into two courts, which will be used for intramurals and other such events. The new arena will replace the school’s aging Wells Fargo Sports Complex, which originally opened in 1978. Shortly thereafter, the University of Alaska Anchorage joined the NCAA. The old facility had one gym floor, seating about 1,000 spectators and was designed to be a recreation center for a community college. It is no bigger than most of the high school gyms in the city. The new arena will house 11 of the University’s 12 teams. 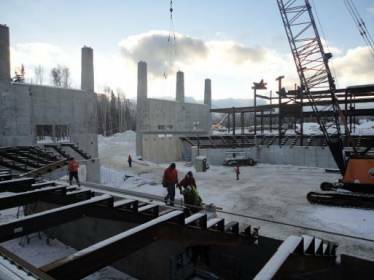 Although the new arena does not currently have an ice rink, many feel optimistic that they soon will, since hockey is an important sport in the area. In June of 2012, and continuing through August, Portland Bolt manufactured the anchor bolts required for this project. Although there were many releases throughout the summer for this job, the bulk of the required fasteners weighed in at approximately 25,000 lbs. of custom made anchor bolts. The configuration of the anchor bolts were for the most part large rods with threads on each end, however the sizes and grades required were all over the map. The diameters of the anchor rods were ¾”, 1-1/2”, 1-3/4”, 2”, 2-3/4”, and 3”. The anchor bolt grade requirements consisted of F1554 Grades 36, 55 and 105. In addition to the anchor rods, large square anchor plates were also required, which ranged from ¼” thick x 2-1/4” square all the way to 2-1/4” thick x 9” square. This just goes to show that the geographical location of a company is not necessarily a hindrance. Because of Portland Bolt’s manufacturing capabilities and capacity, we provide these types of anchor bolts to construction projects locally, to Anchorage, Alaska, or to anywhere else requiring anchor bolts of this nature. Let’s face it; a 3” diameter x 102” long F1554 Grade 105 anchor rod with a 2-1/4” thick x 9” square anchor plate is not going to be sitting on a shelf at your local hardware store. Having that been said, the anchor bolts were made, shipped out as required and delivered to the job site in order to get everything in place as scheduled.